The organic farm Sasseta Alta is an oasis of peace in the pristine hills of the lower Maremma, a few steps from the medieval village of Scansano. Our organic farm consists of 60 hectares of land, including woods, olive groves and a large organic vegetable garden, on which there are four rustic stone farmhouses renovated with rooms and apartments dedicated to hospitality. In addition to the reception service we are pleased to offer you the brand new Wellness Center, made with natural materials and elements and a bio-lake, ideal for relaxation and summer relaxation. In Sasseta Alta guests can spend a holiday in the tranquility and genuineness of the rural world, choosing among different kind of holiday. 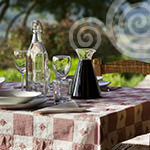 For more information on the Sasseta Alta holiday farm contact us now.